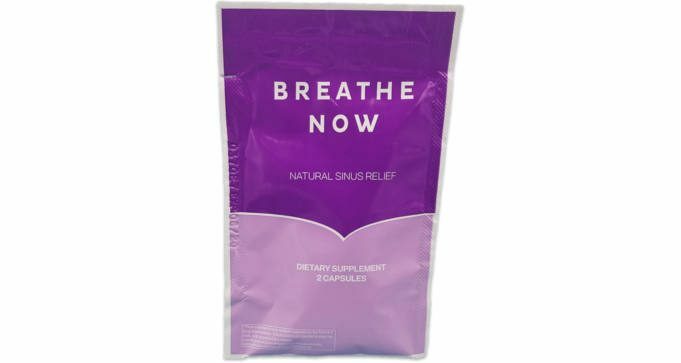 To get a FREE sample of Breathe Now Sinus Relief, add to cart and complete the checkout process. 2 samples per order, limit one order per customer. While supplies last! No payment information required, free shipping within the U.S.
An all-natural, chemical-free sinus relief supplement that allows you to breathe when you’re suffering from allergies, sinus infections, colds, and even the flu.